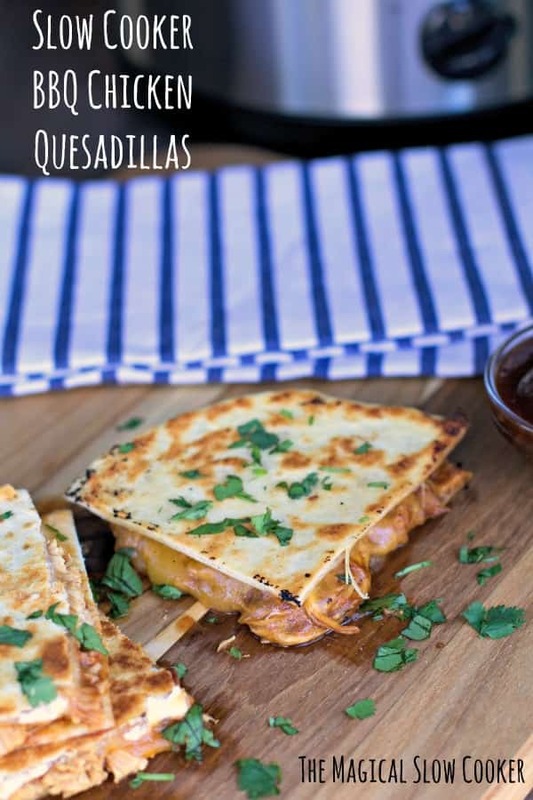 These Slow Cooker Barbecue Chicken Quesadillas are so easy to make. The flavors remind me of barbecue chicken pizza! I found this recipe over at Belle of the Kitchen. 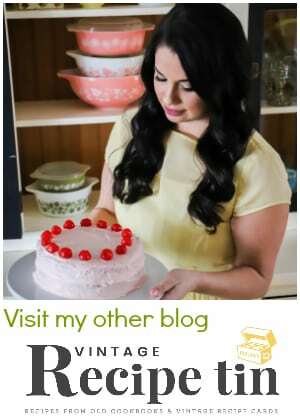 I joined a group of bloggers for a fun recipe swap. Each blog was assigned another blog, but we kept secret who we had until today. My recipe is from was Ashlyn from Belle of the Kitchen. 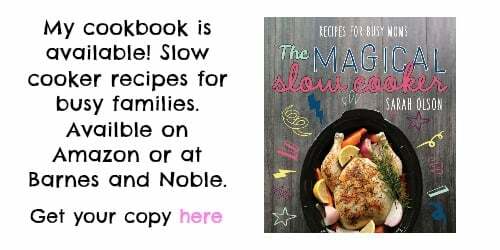 Ashlyn has a lot of great slow cooker recipes to choose from. 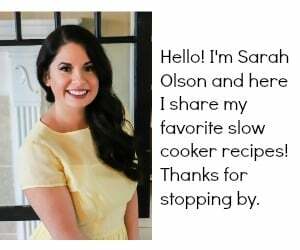 Other great recipes she has on her blog are Slow Cooker Chicken and Dumplings and Crock Pot BBQ Ribs. For the quesadillas Ashlyn used a smokey barbecue sauce that my store didn’t carry, so I used Guy Fieri’s Kansas City Smokey & Sweet Barbecue sauce instead. You could use Sweet Baby Rays Honey Chipotle if you can’t find the sauce I used. I’ve wanted to try one of Guy Fieri’s Barbecue sauces in a recipe for a while now and I found perfect recipe to use it in! 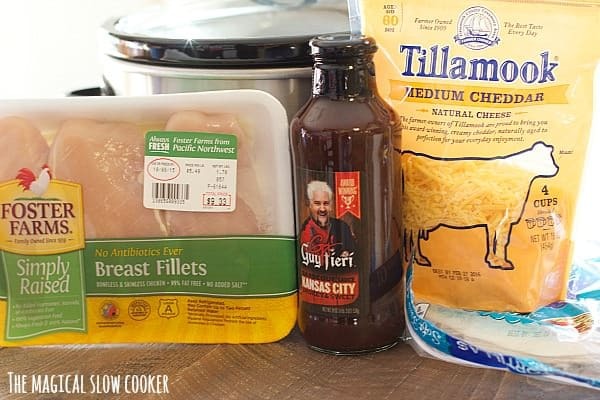 Add the chicken breasts to a 3-quart or larger slow cooker. Pour over 1 cup barbecue sauce over the chicken. When the cooking time is done, shred the chicken with 2 forks. Add ½ cup more barbecue sauce. Add a small amount of butter to a non-stick skillet set over medium-high heat. Lay down one tortilla, add a generous sprinkle of cheese, and a good helping of the barbecue chicken. Add another tortilla on top of that one. Flip the entire quesadilla over when the bottom is brown. Let the other side brown, and transfer to a cutting board, cut into pieces with a pizza cutter. Top with chopped cilantro. Well these sound just perfect!!! I love quesadillas for an easy and tasty dinner. This is why I love your blog — I would have never put quesadillas and slow cooker in the same sentence! Brilliant!! I can’t wait to try this great recipe! I so love having you as part of our group, Sarah! What a great idea for weeknight suppers! Love the recipe and how easy it is. 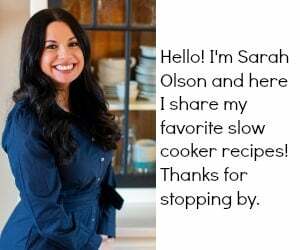 So glad you enjoyed this recipe, Sarah! Your pictures look sooooo darn good! Yes!! 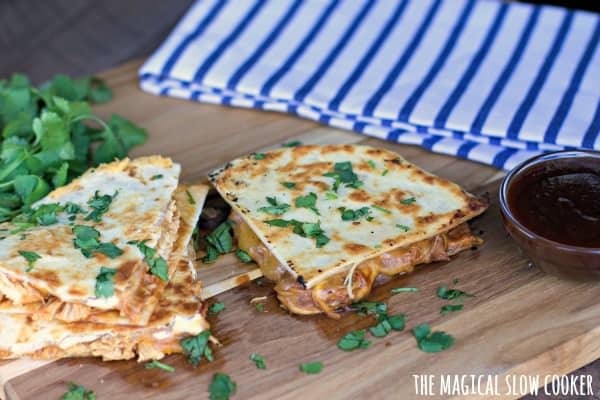 I love a good quesadilla and these look fabulous! This is exactly the kind of meal i want to eat right now! Yummy and comfort food-tastic! I want to try Guy Fieri’s BBQ sauce too! Glad to hear that it works so well with a slow cooked dish! It looks so good! Perfect dinner – I love my slow cooker! sounds delish and the pics are gorgeous! Looks like the perfect easy recipe! Quesadillas are a big favorite here! I definitely want to try this…I think my family will really like this. Yes, please? I love quesadillas. They’re so cheesy, tortilla-y good. I love quesadillas!! Definitely have to try this recipe. Love how amazing this looks! Who doesn’t love a good quesadilla? And with BBQ’d chicken they would be extra yummy. Just need a side of guacamole! This is such a great weeknight meal idea! My family will love it!